Rectangles, Ovals and Pods are shown in 6′ x 9′ ratio. Circles, Squares, and Octagons are shown as 6′ x 6′. Entries shown as 3′ x 5′, and Runners as 3′ x 9′. The actual appearance of your rug may vary according to the size and proportion ordered. 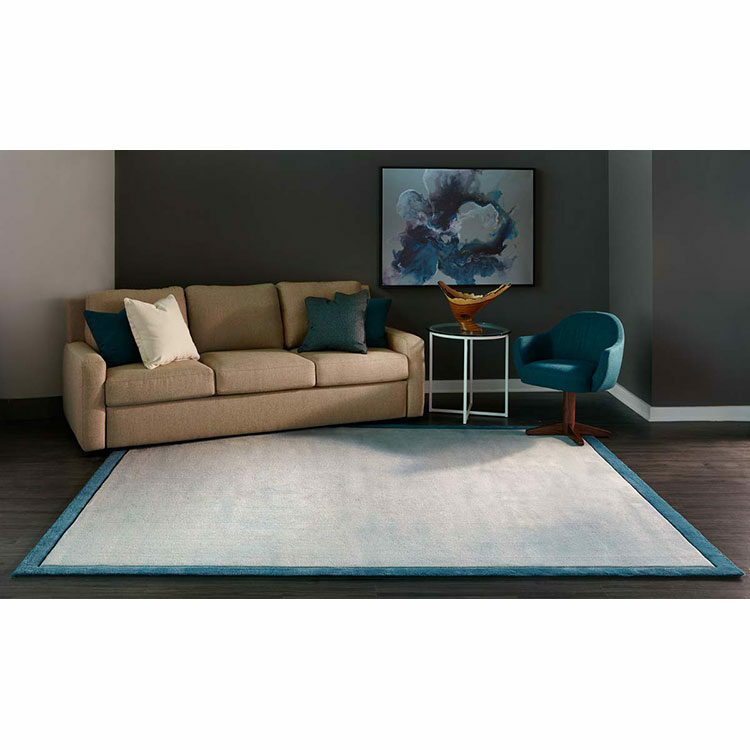 3/4 inch tufted field in New Zealand Wool or 100% recycled nylon, and beveled 3/4 inch tufted borders. See showroom for more details.